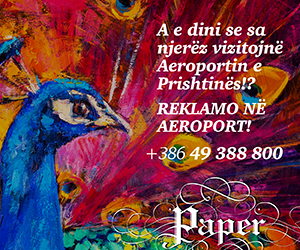 Did you know that people of all ages and backgrounds visit Prishtina’s Airport? Around 2 million passengers travel through the Airport on annual basis while the number of those that visit the Airport, overcomes 15 million people annually. And this group consists of passengers and of those that heartily welcome and salute their guests at the terminal, others that use and provide a number of services at the Airport, but also of those that visit the Airport for other different reasons. AIRPORT: ONE OF THE MOST ATTRACTIVE PLACES TO ADVERTISE! With all the traffic present, the Airport is for sure one of the most attractive places to advertise products, services and your business. World’s biggest companies secure their presence at the Airport through advertising spaces that can be easily adaptable through tailor made messages, advertising structure but also through the variety of the communication channels available. Advertising at the Airport reaches every location and further builds on the image of your business. 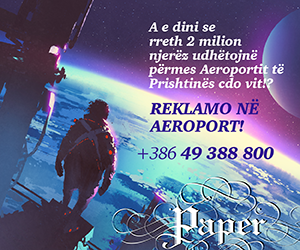 Limak Prishtina International Airport ‘Adem Jashari’ is one of the most modern Airports in the region. During the design, Limak, the architects and Paper Communications have given special emphasis to the advertising spaces, always driven by the demand and the needs of the businesses. Think of it: many people will get to see your advertising products the moment they land to Kosovo? Same, there are many others that are departing Kosovo and may see your messages just before their flight takes off? You can put messages on your services and products, an advertisement, only a welcoming word… advertising at the Airport has no limits. Contact Paper Communications to advertise at the Airport. Secure your presence at one of the most frequented places in Kosovo.